Providence has one of the nation's most intact historic downtowns and is one of America's most beautiful cities. The history of architectural change in the city is one of lost buildings, urban renewal plans and challenges to preservation. The Narragansett Hotel, a lost city icon, hosted many famous guests and was demolished in 1960. The American classical renaissance expressed itself in the Providence National Bank, tragically demolished in 2005. Urban renewal plans such as the Downtown Providence plan and the College Hill plan threatened the city in the mid-twentieth century. Providence eventually embraced its heritage through plans like the River Relocation Project that revitalized the city's waterfront and the Downcity Plan that revitalized its downtown. 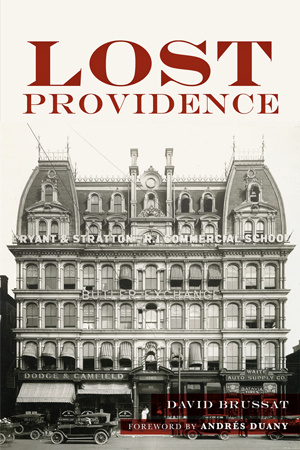 Author David Brussat chronicles the trials and triumphs of Providence's urban development. David Brussat was born in Chicago and grew up in Washington, D.C. After graduating from American University with a degree in journalism, he worked for two newspapers in the South and eventually spent thirty years as an editorial writer at the Providence Journal. He wrote an award-winning architecture column there for a quarter of a century and continues writing his popular blog, Architecture Here and There. David is a member of the Providence Athenaeum, the Providence Preservation Society and the Rhode Island Historical Society, and he is a fellow of the Royal Society for the Arts, London. He received an Arthur Ross Award from the Institute for Classical Architecture and Art in 2002 and has sat on the board of its New England chapter since 2007. He lives with his family in Providence, Rhode Island.